Steve-O’s Jackass days are well behind him but it’s clear he’s not lost his sense of fun. Despite being a 42-year-old adult with responsibilities and obligations, he’s still got that childlike wonder that borders on cheeky. Case-in-point, in his latest video he expertly demonstrates his basketball skills… by shooting a miniature ball into the bosom of a well endowed woman. Perhaps more interesting is that this is the second episode! We would love to have been in the meeting room when he first pitched the idea, just imagine the conversation. To be fair he’s got some pretty sick skills and his assistant; singer, actress and model (according to her Instagram) Laci Kay Sommers seemed to enjoy herself too. Each shot is gif worthy, but his ‘off-wall-shot’ at 25-second-mark is the pièce de résistance. It is good to see Steve-O having fun again, baring that carefree smile we were introduced in back in October 2000. 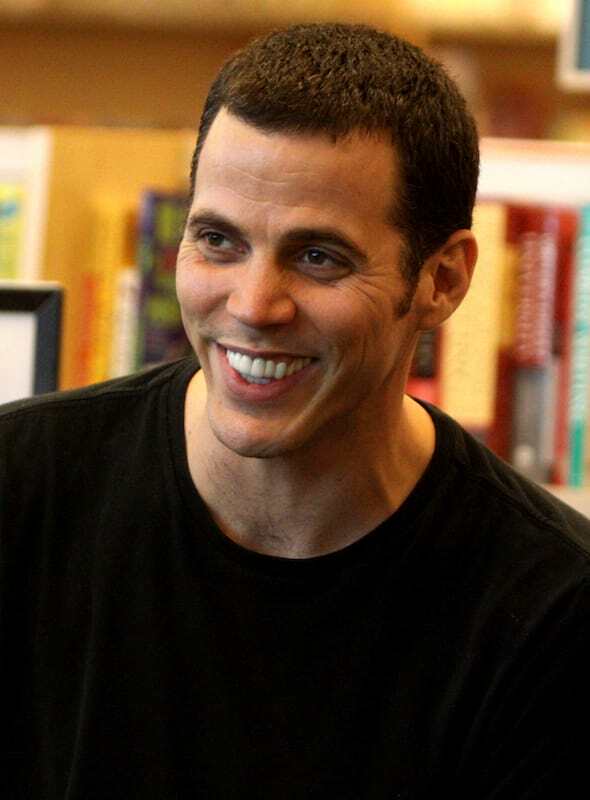 Ever since Jackass went off the air Steve-O went through a battle of substance abuse and dealing with the death of former co-star Ryan Dunn in 2011. He famously appeared on Comedy Central’s Roast of Charlie Sheen where he successfully goaded ‘Iron’ Mike Tyson into punching him square in the face. Because why not? Interestingly enough, both were able to solve the problem of racism… whilst doing coke in a Hollywood Hills bathroom. These days Steve-O is still doing outrageous stunts and fighting the good fight as an animal rights activist, whilst being a good role model for recovering drug addicts. Just don’t expect to seem him playing in the NBA anytime soon.